I am proud to work with The Illinois Literacy Foundation to ensure that every citizen has access to literacy services that put them on a path to lifelong learning. The ILF helps raise critical funds that are targeted to specific local literary needs. They have had a profound impact in enriching lives of citizens who want to enhance their literacy skills to achieve their utmost potential. Since 1999, The Illinois Literacy Foundation (ILF) has been a leader in promoting literacy efforts and supporting local literacy projects throughout Illinois. 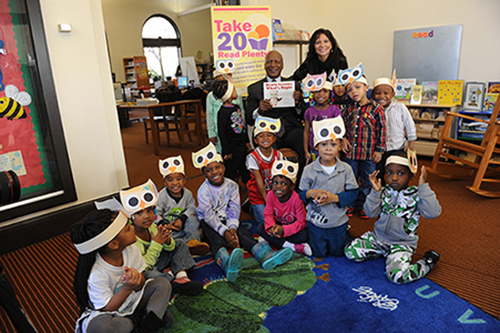 View images from Illinois Literacy Foundation events.